For the unversed, a quick content curation definition is the act of finding top performing content with existing social proof from a huge collection of areas and purposefully sharing this top content with your own specific audience for their benefit. We’ve talked about the importance of becoming an authority in any given niche market and how to create the most stellar content for your specific audience. Yet, finding proven pre-existing content is a whole other animal. 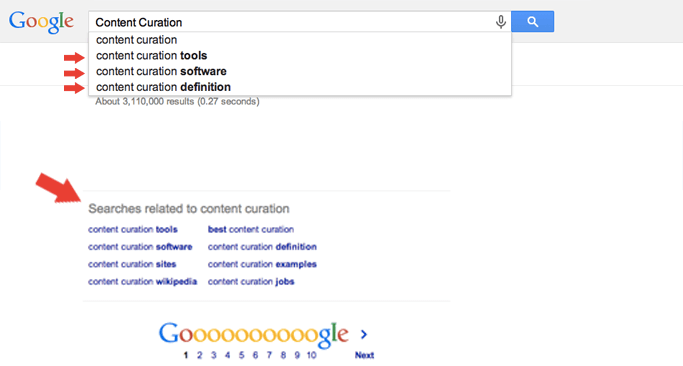 Why do I need to find curated content? Sharing curated content means truly delivering the latest and best news surrounding your industry in real time. And if you’re hoping to be an authority, you better deliver the most relevant and up to date content so they come to you over anyone else first. Where else are they going to go to get the latest on rubber horse masks and shark cats on Roombas? Knowing your audience means to be able to gauge the temperature of the room and give the people what they want! Read the room and drop that DJ Snake track and loose the Fergalicious..
Why share other people’s content? Essentially it all boils down to establishing yourself as a valuable and authoritative resource. If you’re able to become a one-stop-shop for your ideal customer’s needs, they’ll have absolutely no reason to go anywhere else. You will earn trust and loyalty among your customer base because you’ve done all the difficult work for them! You’ve waded through the waters of all the thousands of articles and selected only the top performing most relevant content to spread. And, when you are able to spread your own original content, your audience will be more likely to share it too. So, now that we know the basics, but what is it that really makes a content curator set up for success? There are many aggregators out there like many that you’ll see listed below, but to get that personal touch of tailored content comes from finding an authority to deliver the latest trends while adding their own two cents. The aggregators are great, but it takes time to sift through the hundreds of links to get that real meaty takeaway. The personal touch creates a deeper loyalty and bond between the curator and viewer. Find those types of resources and become one yourself. Curating content for your readers saves them one of their most valuable assets: Time. 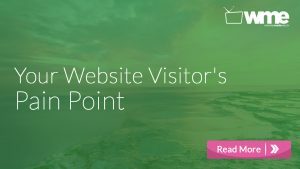 You’re helping your customers save time from wading through the sea of mediocre content and providing a one-stop-shop of only the greatest and most valuable content out there. By providing this service, you’ll build trust and loyalty into the relationship. Successful brands of today’s marketplace go beyond their core product or service’s promotional content and offers the whole experience surrounding their core product or service. There may be an initial draw to that brand, but what keeps them coming back for more is what they can experience from their newest trusted authority. Take for example, GoPro. GoPro, at its core, offers a portable, high-quality video camera with a unique fish-eye lens. But, during the entire purchase process and well after the initial purchase, GoPro’s customers benefit from the value of awesome videos of transcendence from extreme sports junkies in the snow to snorkelers on an adventure off the coast of Australia. GoPro tells one huge story for all kinds of enthusiasts. At this point, the content that I’m consuming from GoPro isn’t trying to sell me their newest camera or cool accessories. They’re simply sharing everyone’s story just like mine, which, in turn, effortlessly sells itself. Go beyond your core product and build your story. There are dozens of intuitive content curation tools and sites out there to help you find that HD signal out of all the noise. Finding just the right piece of content nowadays couldn’t be easier. You’ll save all that time and all the headaches with these 15 awesome tools, softwares, and websites. 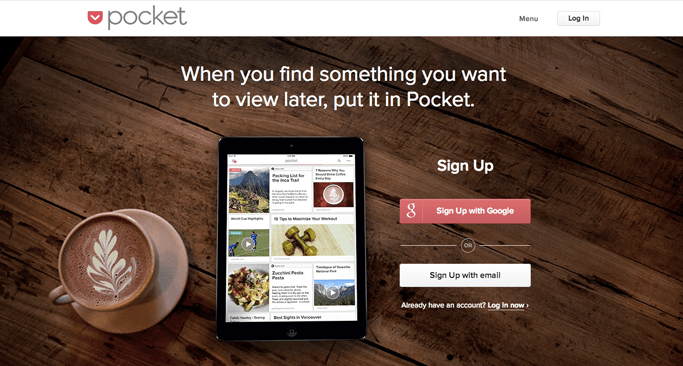 Pocket is a tool that enables you to make sense of all your webpage bookmarks. Like many in this list, this tool enables you to begin collecting helpful bookmarks and select options to share all in one place. Rather than emailing or texting yourself random links all named different things, simply install the web browser extension to the top of your page and begin bookmarking like there’s no tomorrow! Specify tags and groups for articles so that you can find them that much easier later. Save to pocket across a huge variety of apps and devices and be sure to follow them on twitter to get their highest saved articles from their entire user base. Also check out Instapaper and Readability. 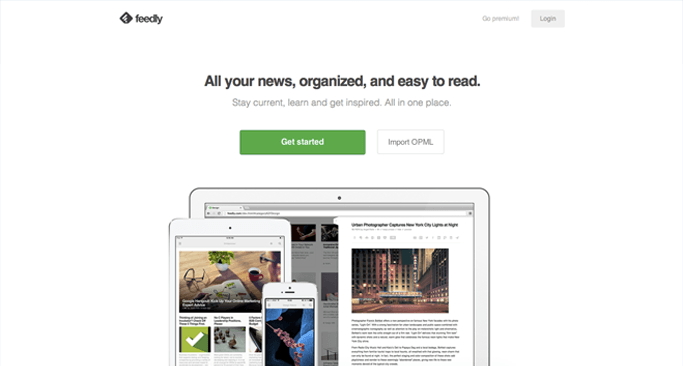 Feedly is a great place ot begin your content curation. This tool offers both bookmarking web URLs to save for later as well as viewing their news aggregation section that gathers the articles from specified niches straight to you. Simply type in one or more keywords and get lost in the myriad of keyword rich results. Save ones you like for later and tag the category for following all their latest content. This RSS reader is a great substitution for those who loved Google Reader. 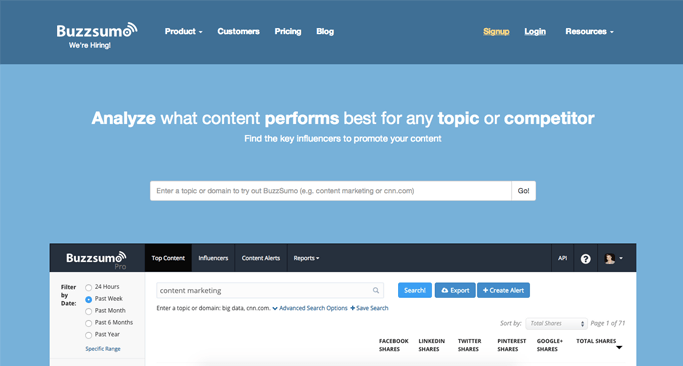 Buzzsumo provides insights into the most popular content online and the influencers sharing it. This search engine helps organize the clutter by prioritizing search results by social proof—meaning the results with the highest engagement on social networks get the most relevant results in their search area. You are able to pick and choose what and who you’d like to analyze organizing from the average shares, shares by network, content format, day published, content length and most shared domains. 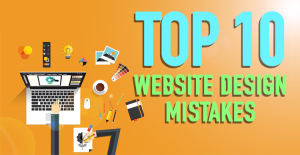 Using these features, this tool will help you identify entire websites and their performance so you can have a better insight of how your competitors are performing, i.e. It also lets you helps you find the influencers in any given niche so you can study the content they choose to share. Subscribe to their alerts settings and you’ll be up to date by the minute whenever a new post is published, new shares are added, and more. Storify helps organize a clear up the otherwise noisy online social experience. The tool allows for users to search or browse content from social media sites in order to follow specific stories. It has especially gained popularity among companies whose followers enjoy getting up to date happenings at product launches and other events for example. This free tool also highlights some of the most notable articles surrounding any given topic in real time. Sign up for Swayy through adding one of your social accounts and you’re done. 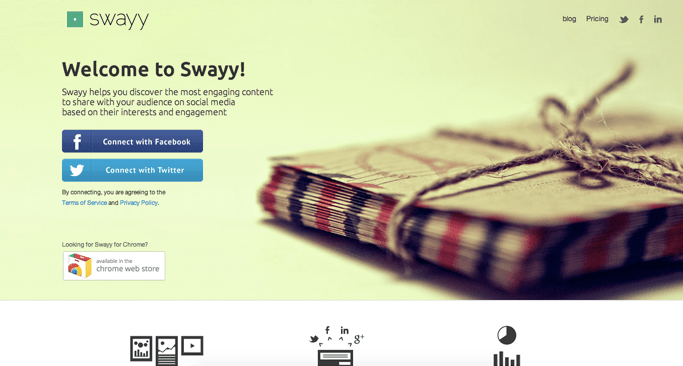 Swayy organizes all curated content from your social network and other interests and presents them in one place for you to peruse. You are able to broaden Swayy’s search to areas outside of your pre-existing interests in order to fill out its reach even further. What’s probably the best function of this aggregate tool, however, is its ability to track analytics behind each piece of content so you know exactly what is performing well and by how much. There is a free version with additional functions for a monthly membership. When googling for a given keyword, jump straight to the bottom of the results page where you’ll find related keyword suggestions. Use these as a guide to find more relevant and targeted search results. You’ll get a better understanding if your keyword you were searching for is as targeted as possible. You’ll also get a better understanding of what the majority of others are searching for as well. In addition to this simple trick check out our guide for Google Adwords Keyword Planner Tool: Click Here! 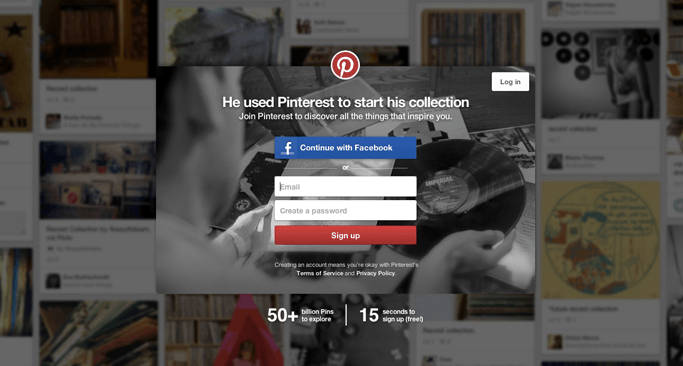 Similar to our suggestions with Google Search for finding relevant content, Pinterest search acts very much the same. Simply type specific keywords into Pinterest and browse through the results for the number of repins and comments. 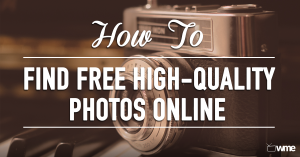 The higher the engagement on certain pins, the better the image, title, and content have performed. Use this as your guide to selecting top articles and follow them to their original website where you’re likely to find their other content that may have done well also. You can also use the Pinterest suggested keywords found at the top of the results page to further peruse similar keyword results. Combine keywords to narrow results even further and repeat the process. This has proved to work well for us and I’m sure you’ll find it useful too. 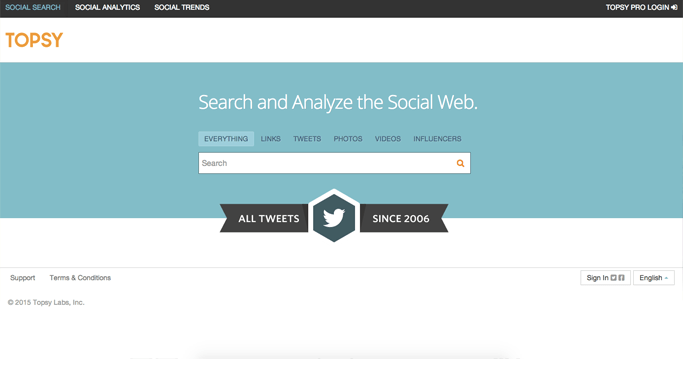 Topsy scours Twitter to analyze social trends and analytics in real time. You have the ability to plain and simple search the social web for keywords among all categories as well as specifically through links, tweets, photos, videos, influencers and languages in order to narrow your search. You can also specify the time frame from the minute to all time. You can also identify social trends and use their analytics to compare multiple keywords against each other and across periods of time. 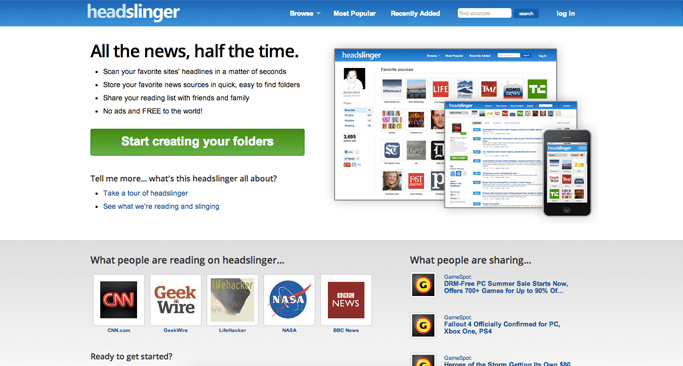 Headslinger allows you to follow certain categories of content online which sorts news articles for you in an organized way. It’s user interface is clean and organized and allows for quick at-a-glance decisions for reading stories in order to share them or save them for later. Similarly, Utopic organizes saved web pages with one click into specified related genre areas. 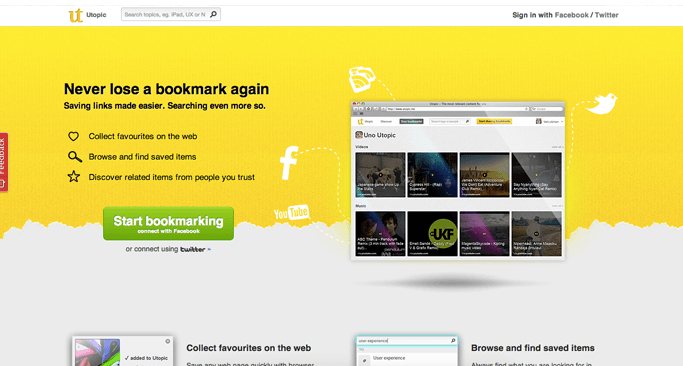 This allows for ease of navigation to find exactly what you need when you need it so you’ll never end up with lost bookmarks again. 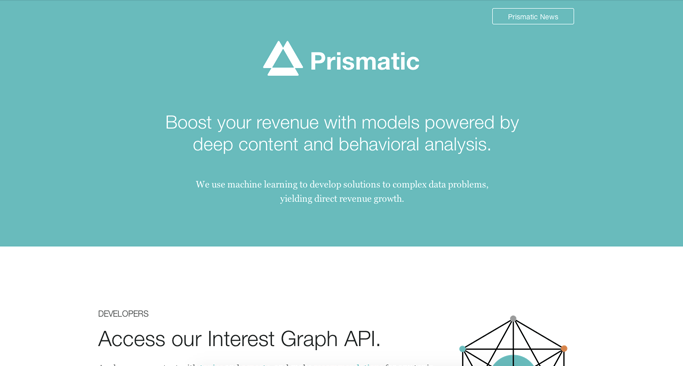 Prismatic’s elegant design allows for their algorithms to filter through designated content by the user. It organizes content in a way that speaks to your personalized interests and presents each recommendation automatically for you. Say goodbye to the days of searching for your news! Now you have it all in one place. Your new homepage online. Protopage includes everything under the sun online and acts as your launch pad right when you hit open. This tool has plenty of customizable features which allows you to add notes, make to-do lists, select an RSS reader to funnel top content into, add images and even check your calendar. Each widget offers a different function to aid your starting page for searching online. 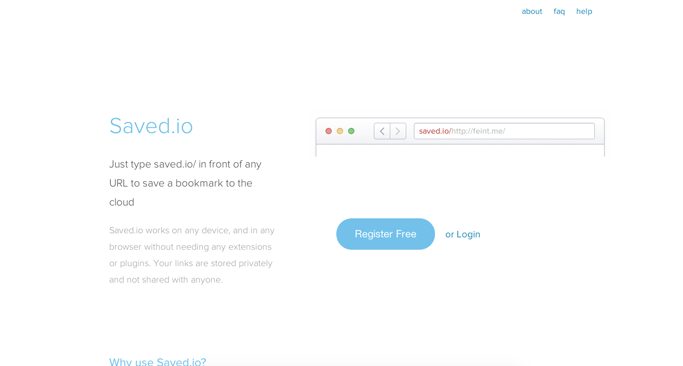 Saved.io is essentially another bookmarking system without the hassle of installing anything. Simply create an account and you’re ready to go. No web browser extensions needed. Once you have your account made, simply add “saved.io/” before any URL, hit enter, and now that web page is saved to your account’s cloud where you can access it anytime from anywhere. 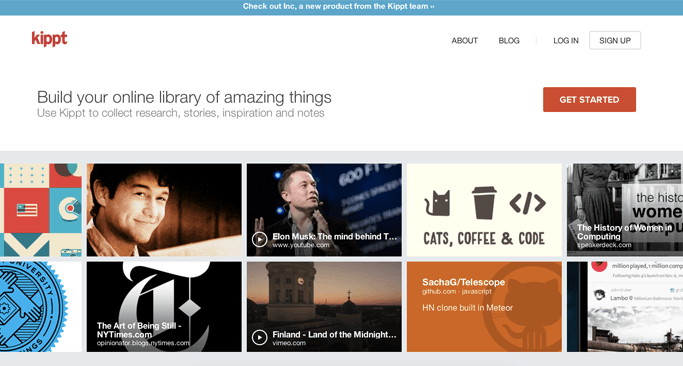 Kippt is full of various uses that allow you to save web pages, read articles right there, watch videos, share notes and much more. Your collections can be private or public, or shared with people you work with. 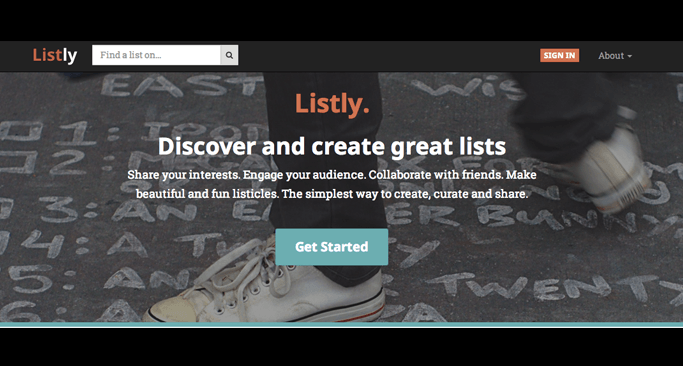 Listly helps you create lists that work! It brings a new approach to list building that enables you to do more than just your usual text heavy online list article. All bloggers and content writers know that list-based articles just plain work online. You see them everywhere: “10 things you need to know about…” “8 ways to …” These types of posts work because they’re easily understood and progress quickly and get straight to the point. They also promise the reader exactly what they’re asking of you right away. Listly enables the normal list to be more of a social interaction which allows for an added ability to share, comment, and even vote on specific items on the list. 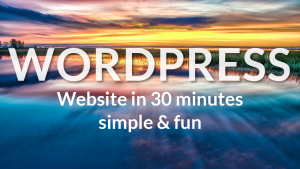 It is a tool that encourages interaction and uses a technique that already performs well online. In addition to these content curation aggregate and bookmarking tools, check out the following as they have multiple purposes, but also contain content curation and search function services. Mashable: Mashable is a leading source for news, information & resources for the Connected Generation. Mashable reports on the importance of digital innovation and how it empowers and inspires people around the world. Medium: Medium is a place to read, write, and interact with the stories that matter most to you. Every day thousands of new voices share on this blog-publishing platform. Buffer: Buffer is a tool that helps you drive traffic, increase fan engagement and save time on social media. Hootsuite: Enhance your social media management with Hootsuite, the leading social media dashboard. Manage multiple networks and profiles and measure your social accounts with ease. Post Planner: Post Planner makes your life easier. It gets your Facebook posts front & center in the news feed — consistently — even when you’re sleeping. The result is more reach, more likes, more leads & more customers for your business. 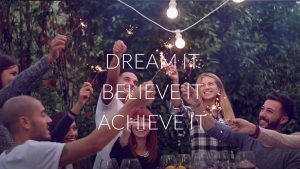 Sprout Social: Sprout Social is built on the idea that the world is better when businesses and customers communicate freely. They exist to help streamline and enhance those conversations—with customers, prospects and enthusiasts. Hubspot: HubSpot is an inbound marketing and sales platform that helps companies attract visitors, convert leads, and close customers. Twitter Trends: See the top 10 or more that are trending right now. Search through hashtags for literally any topic imaginable and see what others are saying. Also, use Twitter to narrow search to timing or location. LinkedIn Pulse: Discover topic specific news articles based on the networks you’re already in. Instagram: Search for any hashtag and sroll through the feed to find the top performing posts. Share those and emulate their style. WordPress: Use WordPress as a search engine in order to find new and unique content. Curata: Scale your content marketing to grow leads and revenue: The software platform for a predictable content supply chain. So, you’ve decided on your favorite go to sources for the latest and greatest news articles. Now what? Consistency is key. Continue to check up on these feeds every day so that you are always up to date and relevant about topics in your industry. Then, figure out a plan for how you hope to share the perfect piece of content you’ve found. For more help on how to do this, check out our article: 6 Content Marketing Strategies On How To Rank For Any Keyword. Also you can check out our article on The Future of SEO Through Content, Creativity, and Connectivity. These are two really great resources for the best content creation and blogging strategies online. If you’re just getting started or even if you’re a seasoned professional at blogging or building a website, you have got to check out our entire collection of WordPress video tutorials here! We’ll guide you step-by-step through the process of building a website or blog and connecting your business to your audience better than ever before. We share all the strategies that have helped us and we’re sure they’ll help you too! 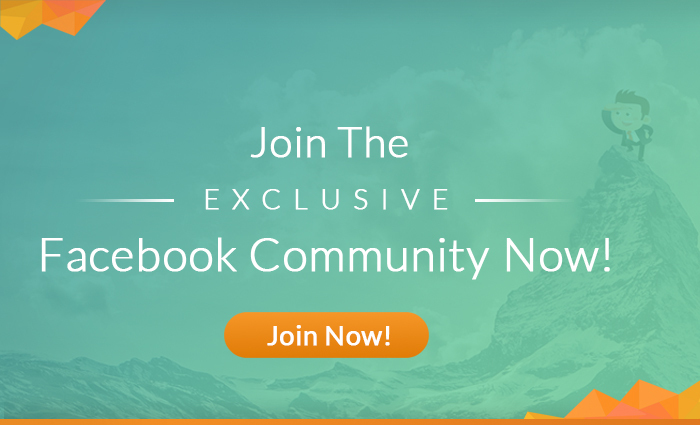 Check it out here and get full access! Very interesting read! FYI, to find relevant content of high value, I would suggest http://segmen.to : it is a platform for content curation that helps you find online articles based on your interests, keywords, rss feed, etc.. You can then select the best articles based on their relevancy or their social impact and than easily share them to your social media or mailing list or blog. 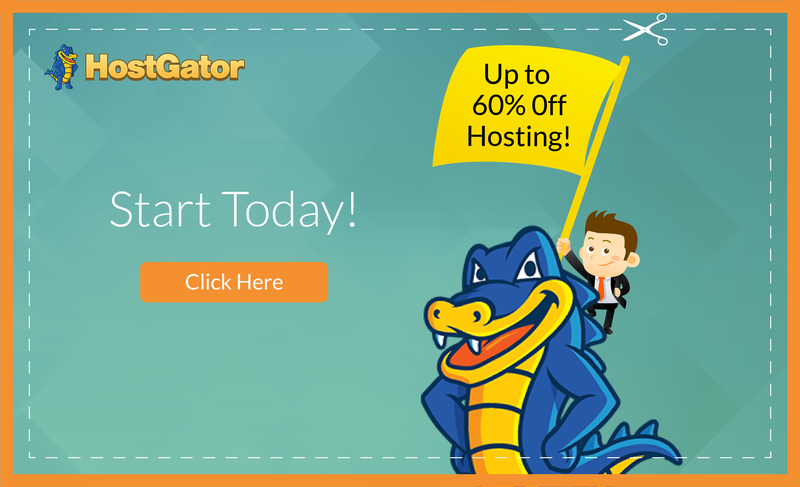 By using the following link: http://goo.gl/7iP5DJ you can even get a discount upon registration! Enjoy! Content marketing helps me for doing better. Content marketing is a popular way to get more benefit from your site or content. There are a lot of tools that help you in content marketing. 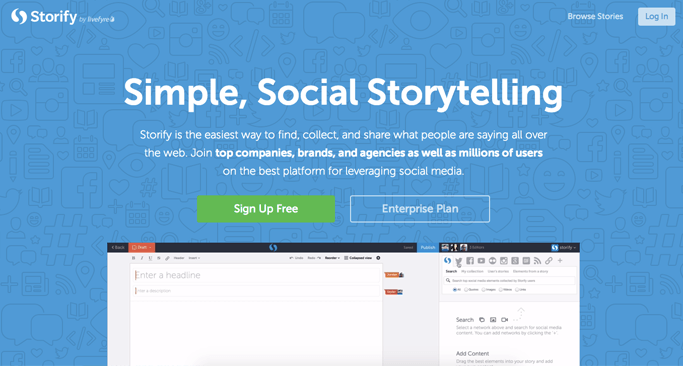 Your list is awesome with some best content marketing tools. Great post, Ben! I like how Feedly and Buzzsumo made it to this list (I’ve used them and they are pretty effective). I especially like the fact that you included Instagram as a tool here. It’s quickly becoming another tool for marketers. Another app you might want to look into is DrumUp-social media management, content discovery and curation. It’s great for finding and scheduling fresh and relevant content from reputable sources onto multiple social media platforms. 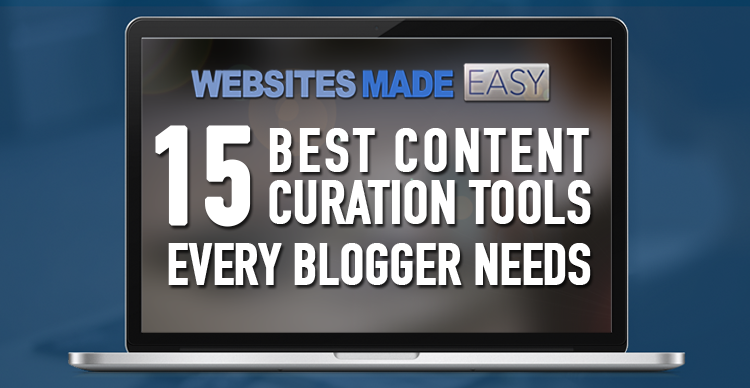 You can also track content from your favorite blogs by adding their RSS feeds. Check it out here: https://drumup.io/, and please consider adding it to your list (or future lists) if you find it interesting. You have written very nice article and List too. I agree mostly. Can you explain a little more about “aggregators”? I have been using Simple Link Directory WordPress plugin for content curation – which seems pretty great to show a lot of links in one page. That’s an amazing list. 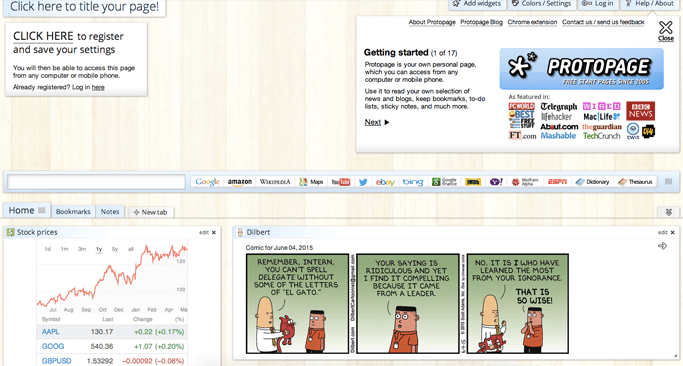 I noticed that you have Topsy on your list and I would love it if you could replace it with our new tool- Social Animal. It is a content research tool that lets content marketers deeply research top performing content for any given keyword. Social Animal also gives deep keyword insights with historical performance data and has a powerful influencer research tool. This will also be your Content Discovery Platform. Very unique is Social Animal’s InspireMe feature that applies a “human cultural map” to any keyword and lets you see unforeseen connections and associations, thereby giving you almost unlimited ideas to write about in your next article.